Citrus County Florida is like no other place in Florida, conveniently located between the metropolitan centers of Tampa, Orlando and Gainesville. 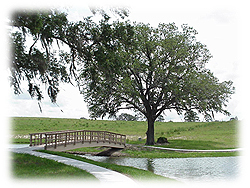 Citrus County is situated on the Gulf Coast of Florida on what is referred to as the "Nature Coast". The region is unique in that approximately 40 % of the land has been set aside for public use and can not be developed. Thus Citrus County has become known as a natural playground for water sports such as fishing, scalloping, boating, swimming, canoeing, kayaking, snorkeling, scuba diving, or just relaxing and tubing down the Rainbow River. In addition to the Gulf of Mexico, there is also King's Bay and several rivers that criss cross Citrus County including the Crystal River, the Homosassa River, the Withlacoochee River, the Rainbow River and the Chassahowitzka River. 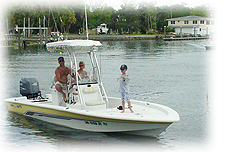 Fishing, both saltwater and fresh water fishing are excellent in Citrus County. Some of the best bass fishing in the state of Florid can be found here in Lake Rousseau and the Tsala Apopka Lake chain, which also hosts an annual speedboat race. For saltwater fishing the Gulf of Mexico offers an endless supply of opportunity and enjoyment. The world record tarpon was actually caught just off the coast of Citrus County. One of the attractions in Citrus County is the City of Crystal River, a quaint, coastal fishing town with a unique resident, the Florida Manatee. Actually known as the West Indian Manatee, these gentle giants of the see make the Crystal River and the Homosassa River as well as King's Bay their home in the cooler winter months. Drawn to the year round, warm spring fed waters, these ancient mammals attract people from all over the world to experience their natural wonder. 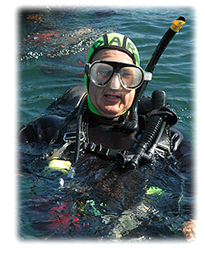 Local dive shops surround the area offering boat rentals, snorkel and scuba rentals and manatee tours that actually include a swim with the manatees. T he City of Inverness Florida, sister city to Inverness Scotland lies on the east side of Citrus County and is the county seat. 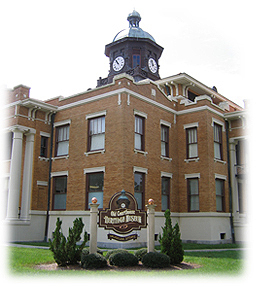 As the center of government for Citrus County, Inverness Florida offers many historical landmarks including the "Old Courthouse Museum" built in 1912. Newly completed renovations allow you to travel back in time to when times were slower and simpler. The historic downtown square has been renovated and is a great place to spend time visiting the variety of shops and restaurants or just sitting on a bench under a moss draped oak tree. 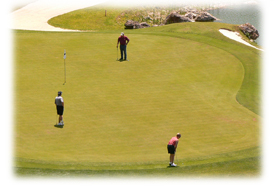 C itrus County also offers over 20 stellar golf courses to choose from. In fact, five of these Citrus County golf courses were ranked in the top 100 in the U.S. by Golf Digest Magazine. These five top ranked courses include Southern Woods Golf and Country Club, Black Diamond Ranch, two courses located at World Woods (Rolling Oaks and Pine Barrons), and El Diablo in Citrus Springs. 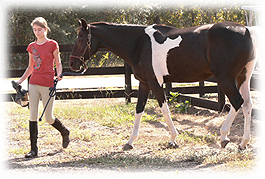 There are many wonderful and varied residential communities within Citrus County, something to please everyone. From the exclusive waterfront communities of Homosassa and Crystal River with its King's Bay Drive to the spacious, equestrian country lots of Pine Ridge Estates and the pristine country club communities of Citrus Hills Florida including the privately gated Terra Vista of Citrus Hills, let CENTURY 21 Nature Coast find your dream home in the perfect community for YOU!